Just imagine: A choice of Luxury accommodation, fine cuisine, remote location central to three spectacular national parks and easy access to world renowned rivers, for some of New Zealand's best fly fishing experiences. Situated on 350 acres of private forest, and native bush just 50 minutes from Nelson, Stonefly Lodge and Villa offers the complete package for visitors from around the world looking to experience fly fishing in New Zealand. With beautiful views, 5 star luxury accommodation situated on the banks of the Motueka River, Stonefly Lodge offers the world-class stay that you deserve when fly fishing and exploring Abel Tasman and the surrounding landscape of the region. An intimate and unforgettable stay, Stonefly is a luxury lodge in New Zealand's most idyllic region. Our four guest rooms come with everything from private ensuites to a spectacular view - there's nothing like immersing yourself in the wilderness of the Abel Tasman and Nelson Lakes at Stonefly Lodge. 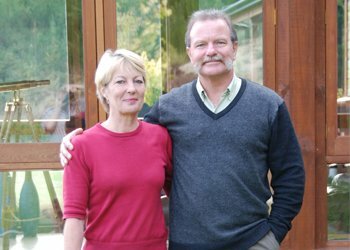 Your hosts, John and Kate Kerr, have over 50 years combined tourism and hospitality experience and enjoy sharing their dream lodge with visitors wanting professional, personalised service and the ability to explore and experience a very special part of New Zealand. For those wanting Exclusive privacy whilst experiencing unparalleled luxury accommodation the Falcon Brae Villa is for you. Find out more about our luxury accommodation in New Zealand. 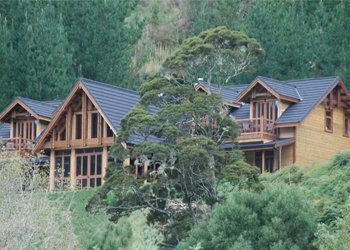 Stonefly Lodge provides the luxurious accommodation that you would expect from a 5 star retreat in the heart of Motueka Valley, between three of New Zealand's major National Parks - Abel Tasman, Nelson Lakes and Kahurangi. 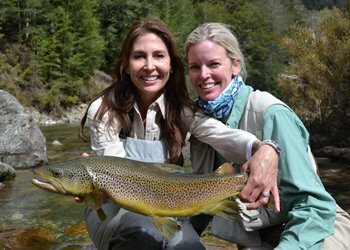 A wide range of nearby world renowned trout rivers and streams let guests enjoy any kind of fly fishing experience; from gentle, flowing, crystal clear waters to those more challenging in the backcountry streams. 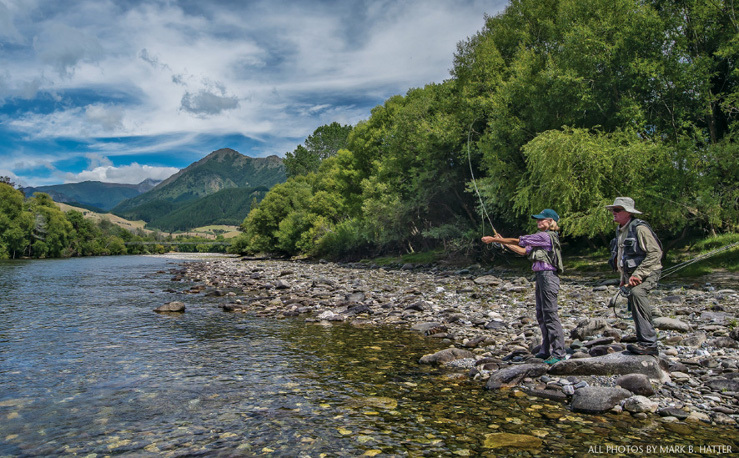 Learn why Stonefly Lodge offers the best adventures in fly fishing in New Zealand. A stay at Stonefly Lodge is a complete package, coupling luxury accommodation in New Zealand with the best outdoor experiences. Book a stay at Stonefly Lodge, enjoy fly fishing and other activities in the Motueka Wilderness and explore Abel Tasman with us, which is just 50 minutes away. Make a reservation and enjoy the best experience fly fishing New Zealand offers. Choose Stonefly Lodge as your base to explore the natural beauty of the Nelson Lakes and Abel Tasman regions. Stonefly Lodge is proud to have been listed as one of the "Top 10 Ecolodges for Australia and New Zealand". "After searching the South Island for 5 years, we found our piece of paradise! We have built the Lodge with a purpose, to entertain guests wanting to experience the many exciting activities this region has to offer. Stonefly Lodge is also our home – we welcome you to stay." You have to visit this lodge! Fly fishing has been my lifelong passion, and I’ve tried for nearly four decades to inspire some modicum of that passion in my wife, Vicky. She’s fished with me over the years, but generally as a neutral observer. Even a sultry June day when tarpon swarmed around my skiff left her indifferent. 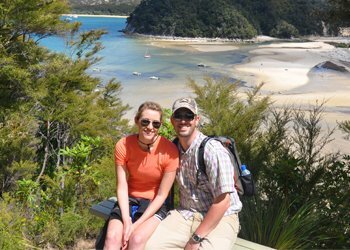 It seemed I was doomed to remain a fly-fishing bachelor—until January 2016, when Vicky and I traveled to New Zealand for a life-changing experience.